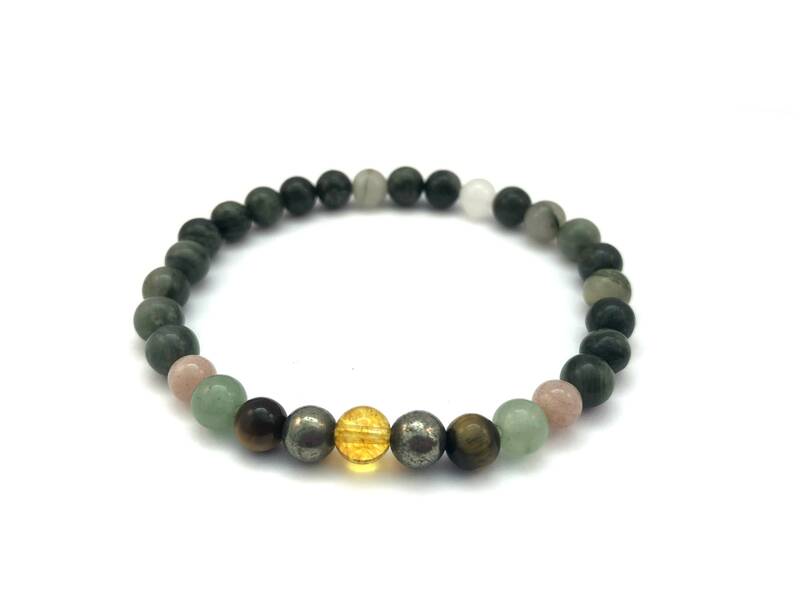 - Green Line Jasper: spiritual freedom and strong connection to earth. Prosperity, abundance. Balance, calm. Alchemy. The bracelet has not left my wrist since I received it! Yeli is wonderful! She put LOVE into this bracelet and was kind enough to add 2 beads of Larimar ( good for Aries during Retrogrades for all my Stargazing friends out there) I have a couple more orders ready to go when my budget allows it. Thank you so much, Yeli!! My bracelet was received quickly and was packaged beautifully. I love it! Will definitely order from Yeli again.